Located just outside the town limits of Little Washington and within walking distance to the shops, galleries and restaurants. Custom-built by local craftsmen, the master bedroom suite takes up an entire side of the house, complete with the luxuries of a see-through gas fireplace, double vanity, huge walk in shower with built in bench, 2-person jacuzzi tub, private powder room and large walk-in closet. Main living area has cathedral ceilings with lots of natural light from huge windows and skylights. Cozy front porch on which to enjoy morning coffee as you relax in the views of the Shenandoah Mountains. 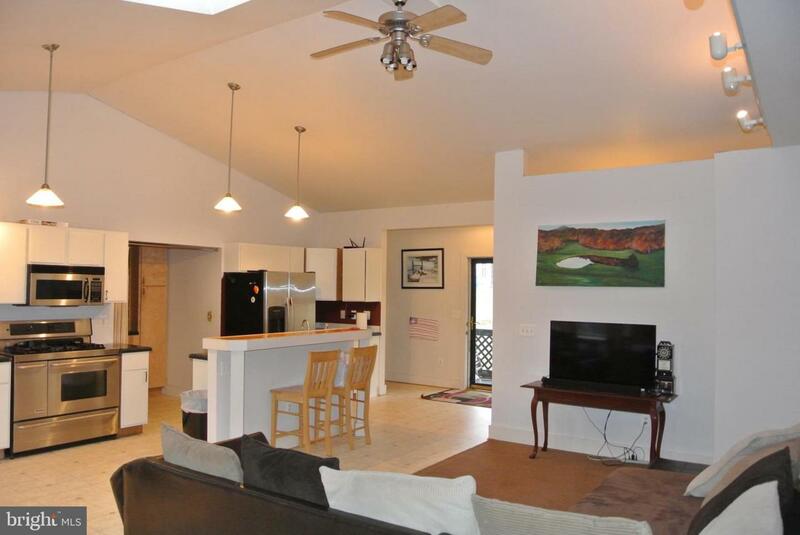 Large back deck off kitchen for entertaining or quiet evening meals. Laundry room/pantry on main level conveniently off the kitchen. Walk-out basement mostly finished with full bath. Perfect primary home or weekend escape. Listing courtesy of Rappahannock Real Estate, Llc..